Some teams were quicker than others to adapt to the new rules. Teams like Joe Gibbs Racing purchased a Hawkeye system for the shop which allowed them to max out the entire body to the spec. Despite a change from the big change from the SS to the Camaro, Hendrick Motorsports was not one of those teams. Nor was Chip Ganassi Racing. 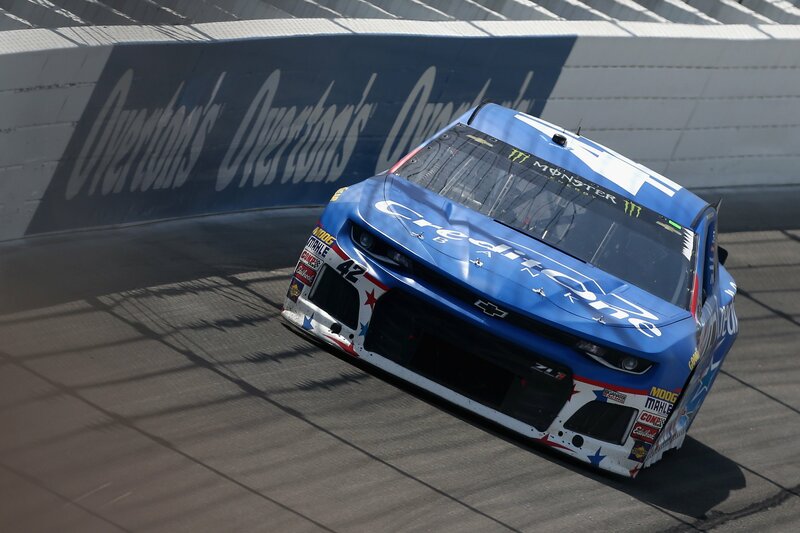 Kyle Larson jumped out of the gate as the lead Chevy in 2018 season. However, a few months ago Hendrick Motorsports purchased the Hawkeye machine for their Concord, North Carolina race shop. Now, the team has made up ground and is closing quickly on the front of the field. Hendrick driver Chase Elliott picked up his first win at Watkins Glen International. Before that, he climbed through the field to win and battle up front in several few stages. How are you feeling with your car as we head closer to the playoffs? “I’d like to be making as big of gains as say what the Hendrick guys have. But, I feel like we started off way better than they did. So, they’ve had more room to get better,” Kyle Larson explained from the media center. Hendrick has been better and there’s talk that they may have a next generation chassis or something. Have you seen that? And do the Chevy teams work together in the same way the Ford team do? “Yeah, we’re budget racing,” Larson says in an accent. For 2019, NASCAR is considering sweeping changes to the sport. On the table is a restrictor plate and high downforce package. The package made it’s debut in the 2018 NASCAR All-Star race at Charlotte Motor Speedway. Now, it’s been proposed for 13 races in 2009 at a bulk of the 1.5-mile tracks. Do you like the way NASCAR’s possibly going with the package? What do you think of Jim France being placed in the CEO position?